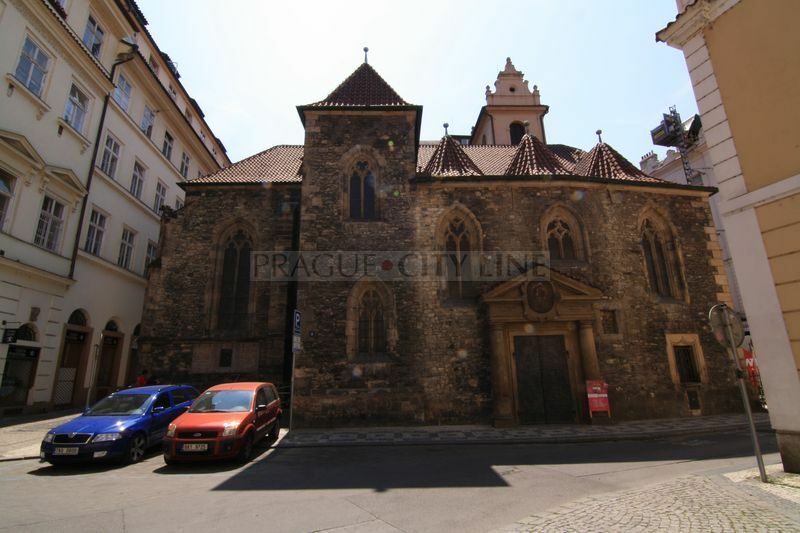 Now we will together visit the Prague´s Old Town church with its rich past and full of other curiosities. The church was built in the settlement „Újezd“ a long time ago, namely in 1178. The settlement Újezd was during the cosntruction of the town fortifications in the 13th century divided in two parts. The bigger part was located outide the fortifications in the premises of the later New Town, the smaller one with the church was a part of the Old Town. Many of you will get the idea that the name prhaps originated from the legend about built-in St. Martin. However we need to disappoint you, the name has quite a different source. 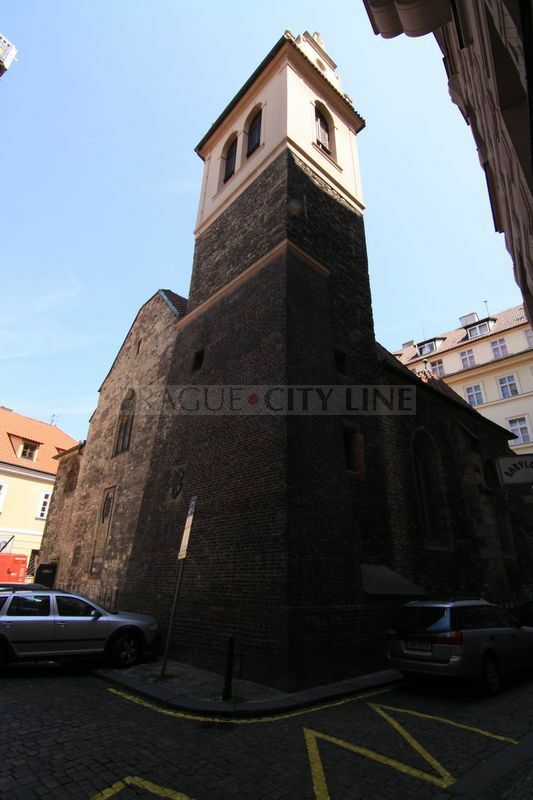 Because the church wall was touching the south fortification wall it was later called „St. Martin Church in the wall“. There used to be a town gate in the neighbourhood, called St. Martin Gate. 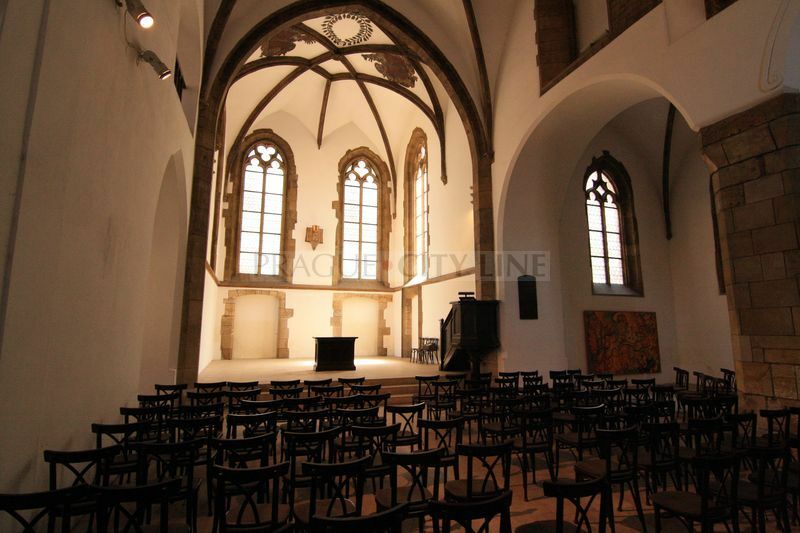 The church was originally built in the Romanic style. 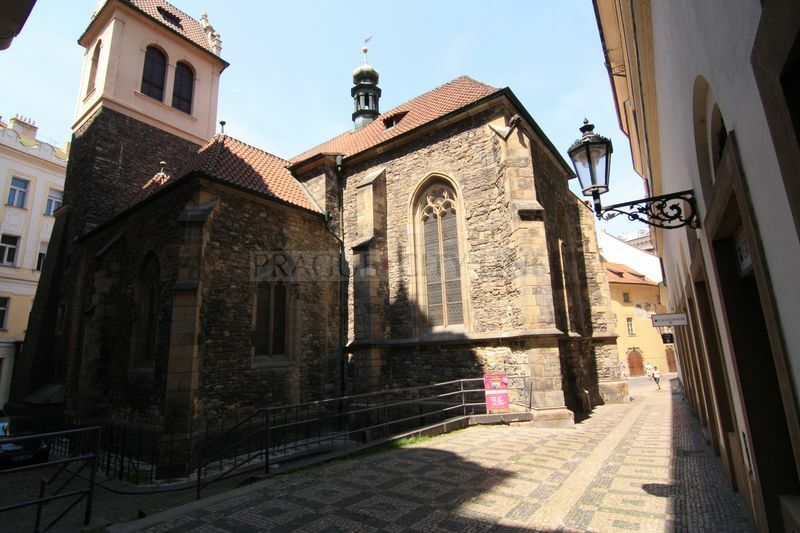 However, it was rebuilt in the Gothic style under the reign of Charles IV. during which a prismatic wall was constructed. The late Gothic reconstruction, i.e. 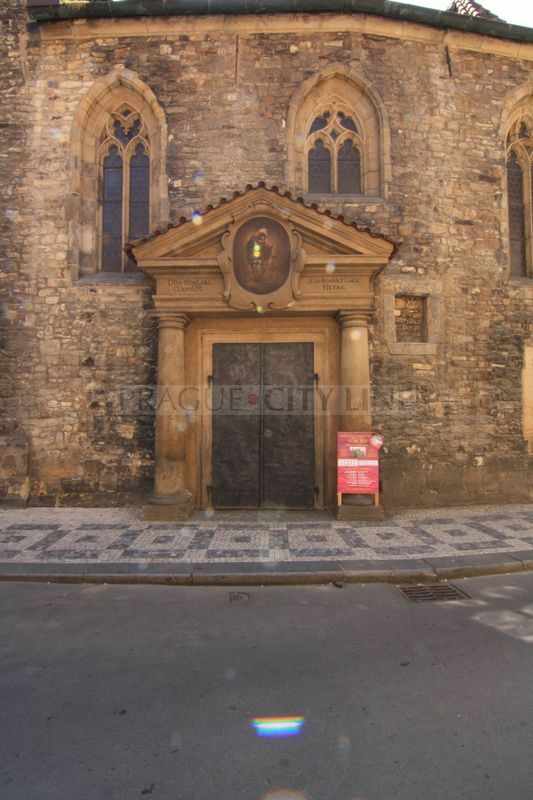 the today´s appearance of the church, was completed around 1488. 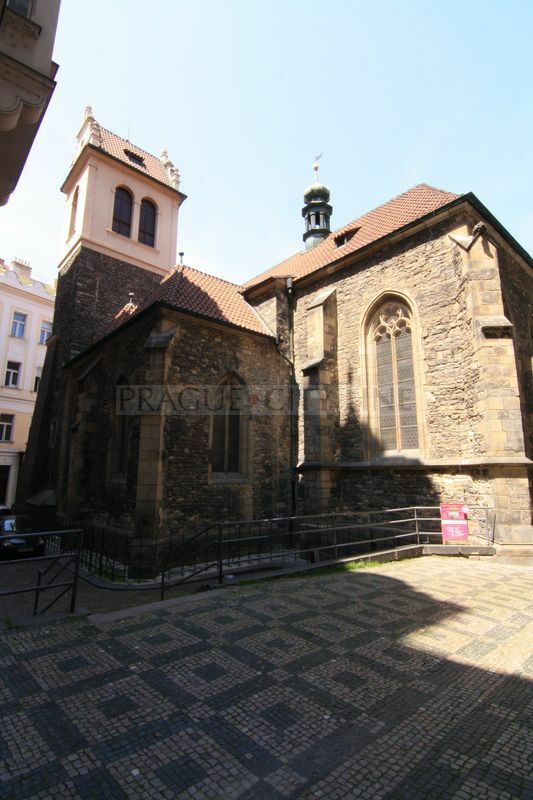 The church was affected by a great tragedy, it burnt down in 1678. Due to the fire the whole upper part of the tower had to be rebuilt. 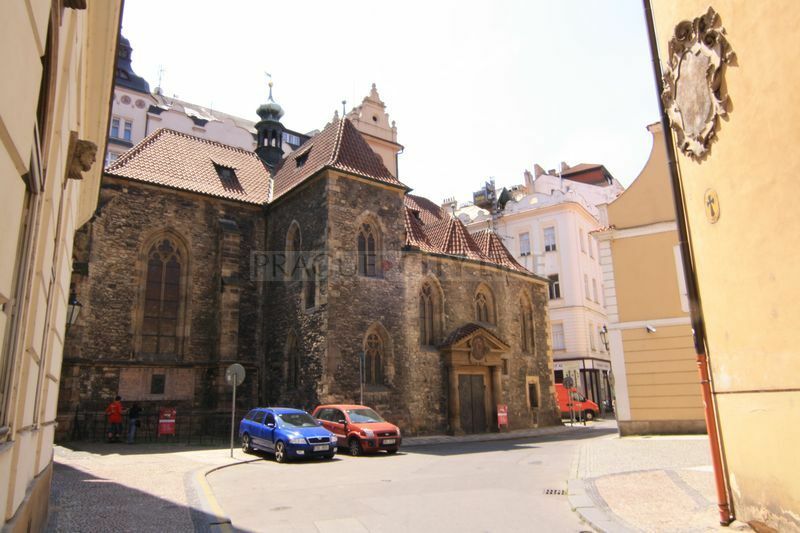 Another turning point was the year 1784 when the church was cancelled and turned into the storage, appartments and shops which is absolutely uncommon in the history of the most sacral monuments. The memorial tablet of the significant sculptural Brokoff family who were buried here in the 18th century commemorates the place where the churchyard used to be. The tablet is embedded in the outer side of the presbytery. It carries the following text: HERE IN THE FORMER CHURCHYARD OF ST. MARTIN CHURCH THE FOLLOWING MEMBERS OF THE FAMOUS SCULPTURAL BROKOFF FAMILY ARE BURIED: JAN BROKOFF 1652-1718 AND HIS SONS MICHAL JAN BROKOFF 1886-1721, FERDINAND MAXMILIAN BROKOFF 1688-1731. 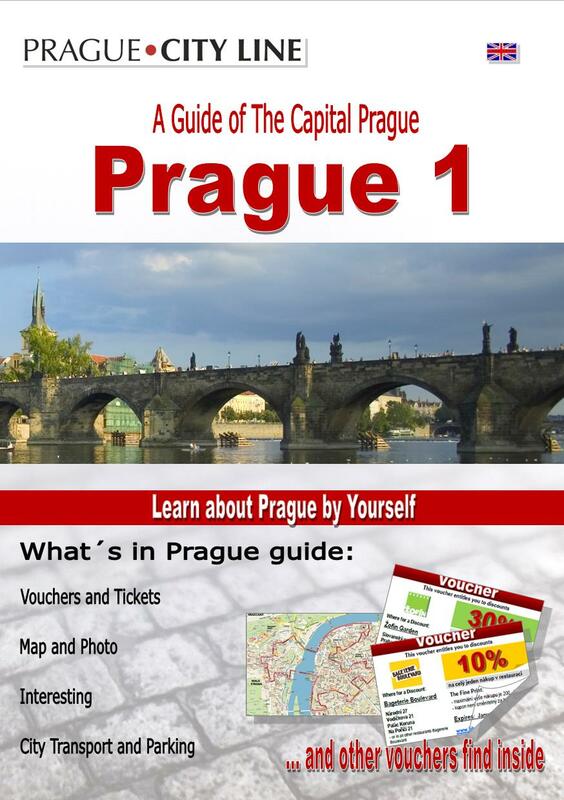 LET THE ETERNAL MEMORY OF THE PRAGUE PEOPLE ACCOMPANY THEM. Ferdinand Maxmilian Brokoff was born in 1688 and he entered the history as one of the most significant sculptors and wood carvers in the sphere of the Czech Baroque. 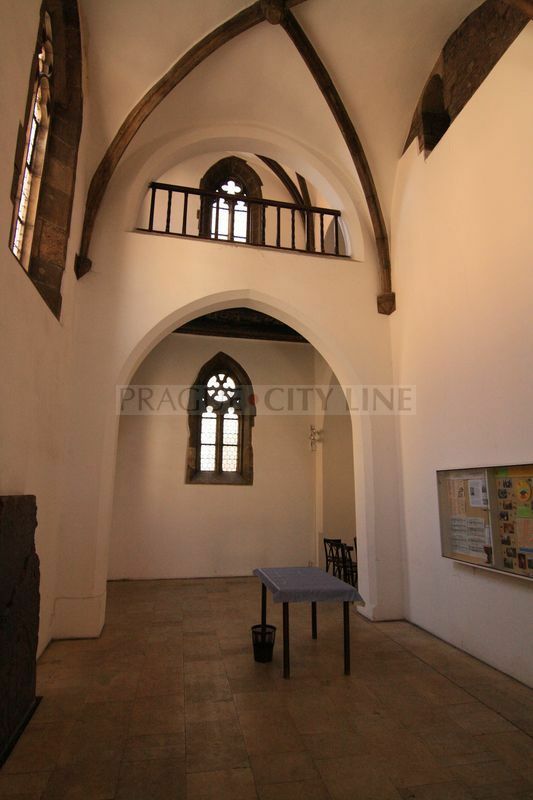 Other master´s significant works that you can see in Prague are e.g. the statues St. Francis Xavier, St. Vincenc Ferrer and St. Procope, St. Francis Borgia, St. Caetan, St. Adalbert and also St. Ignatius Loyola. And where are the gems of the Czech sculpture to be found? Believe it or not, right during the walk over the Charles Bridge. There used to be a house in the neighbourhood of the church called „Školka“ a long time ago. 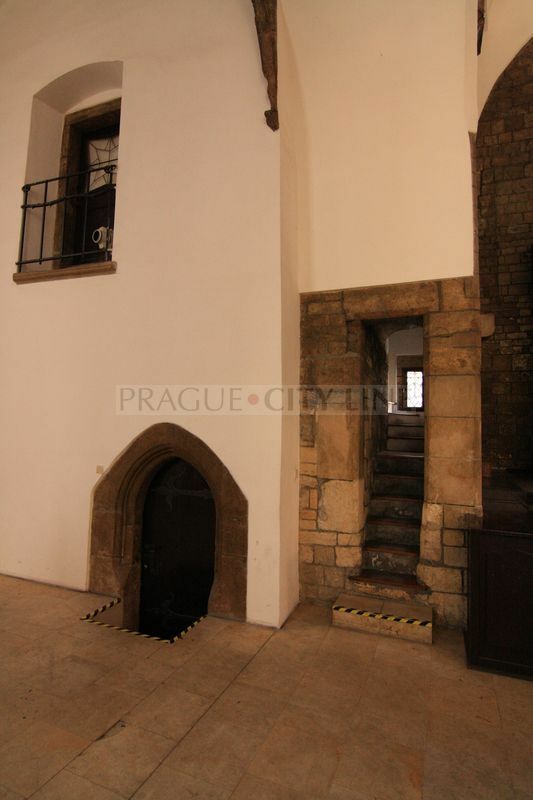 A certain widow of a Prague townsman moved into the house one day. Her financial situation got worse after some timee so she got a job as a housemaid in a manor house. While his mother was at work her son used the time for playing dirty tricks. His naughtiness culminated one day, when his mother was coming back from work and saw a crowd of people looking at the church roof. Then she saw her naughty boy on the roof. She was very crossed that she was climbing on the sacred building and she cried out: „You naughty boy, I wish you turned into stone for making the sin! Her words came true immediately. Before the boy could straighten he turned into stone with his tongue out. Therefore a spouter was placed on the church roof in the form of a little boy. In 1414 for the first time the venerable sacrament was given in the church in two kinds, i.e. bread and wine given in a cup. 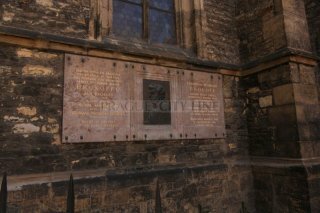 It was iniciated by Jakoubek of Stříbro and it is interesting that the sacrament belonged only to the priests until that moment. 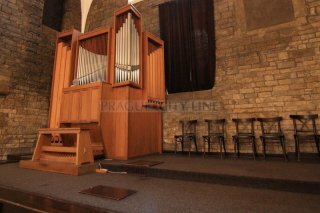 It was given by the vicar John of Hradec for the first time. 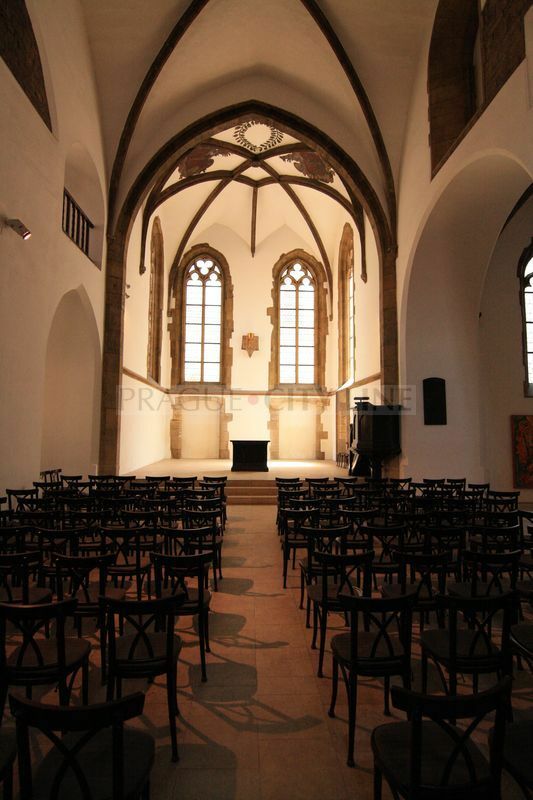 Further, St. Martin Assembly of the Hussites took place in the church in 1433 and nowadays many concerts and weddings are held here. 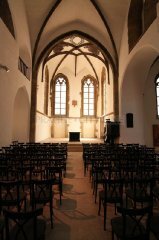 Church of St. Martin in the Wall (Kostel sv. 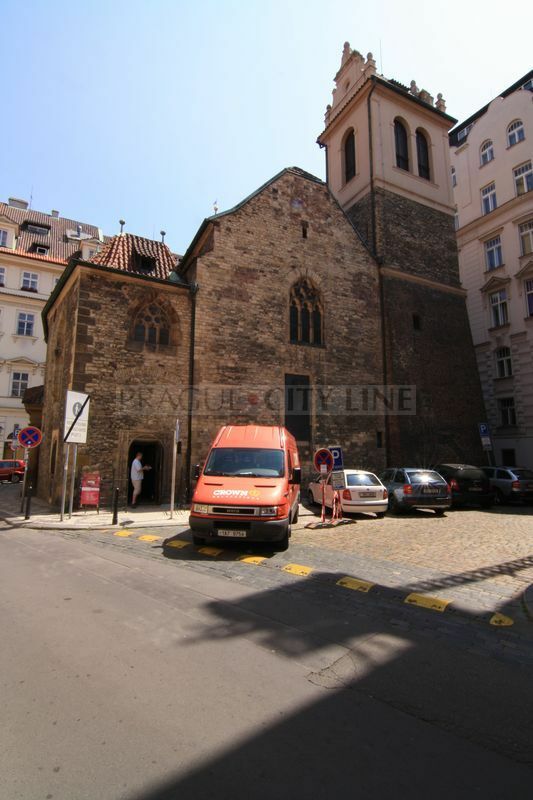 Martina ve zdi) 50.082926, 14.419682 Church of St. Martin in the Wall (Kostel sv. Martina ve zdi) The church was built in the settlement \"Újezd\" a long time ago, namely in 1178. The settlement Újezd was during the cosntruction of the town fortifications in the 13th century divided in two parts. The bigger part was located outide the fortifications in the premises of the later New Town, the smaller one with the church was a part of the Old Town.